Allergy Treatment Has Never Been Easier on Your Kids! If your child suffers from any kind of food or environmental allergy, you know that its effects can range from miserable to life threatening. 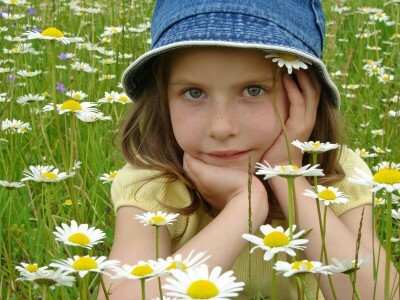 We have seen allergies become more and more common in our children–even occurring as early as birth! Allergies are an inflammatory condition where your child’s immune system “overreacts” to a substance. We believe that the inflammation caused by allergies directly affects histamine levels and other inflammatory responses in the body. When left unchecked, inflammation accumulates and stresses the body, leaving it open to many serious illnesses. Inflammation can develop into ADHD, anxiety and behavioral disorders, sleep disturbances and other illnesses. Indeed, inflammation is often referred to as the root of diseases such as diabetes, arthritis and cancer. To sidestep serious illness, our pediatric office recommends accurate testing to discover your child’s allergies, avoidance of the culprit allergens and oral immunotherapy. We don’t recommend allergy shots or medications for children. Medications like antihistamines can be addictive, have side effects, and don’t address the cause of the allergy permanently. Allergy shots are effective when administered regularly, but they are painful and frankly, you’ll need luck and serious bribery to get your kid to go! In our pediatric office, we use AllergyEasy® drops, which are administered orally, under the tongue, once per day. These allergy drops are just as effective as the shots (they’ve been using them with much success in Europe for over 40 years). We are one of the only pediatric offices that offer this effective allergy treatment! Take them once/day from home (no hassles driving to the allergy doctor for shots). Allergy drops treat the underlying allergy, just like allergy shots, and are just as effective. Allergy drops are safer and more child-friendly than shots. Allergy drops are formulated with purified, all-natural extracts, which avoids side-effects from synthetic medications. Call us today to schedule your appointment. Allergy drops can be used for environmental and food allergies. They can be used to treat asthma, hives, eczema, chronic sinus and ear infections, hay fever and more.